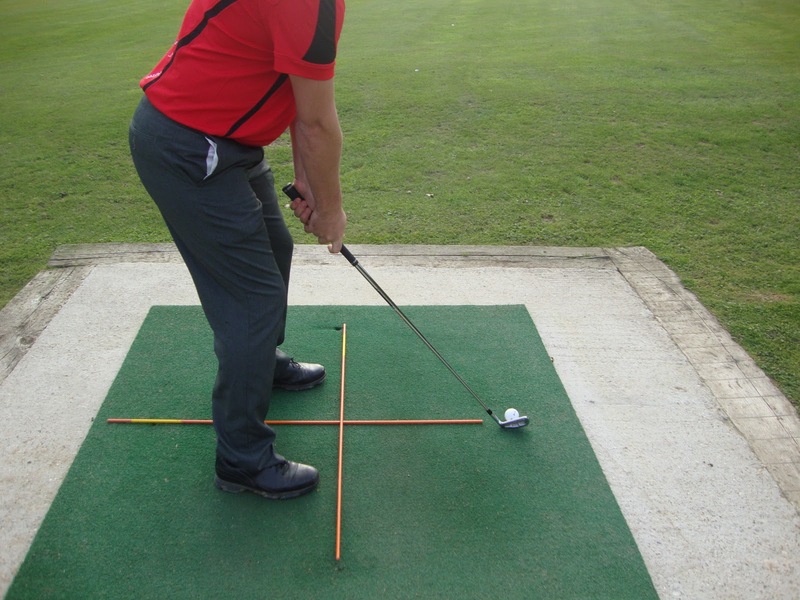 Golf swing alignment is one of the major flaws of inexperienced golfers and to some extent many golfers who consider themselves as experienced golfers. Inexperienced golfers hit the ball that are usually mis-alinged to their target. Typically, they aim way too far out to the right. The reason they aim to the right is because the inexperienced player has the tendency to hit the ball with their arms which causes the ball to pull to the left. This means that they are compensating for a flaw in their swing by just aiming their body out to the right instead of fixing the actual flaw. What this boils down to, is that the inexperienced players' bad swings make the ball go on target and their perfect swings make the ball end up in the trees, or bunker on the right of the target. So, they are seeing their good shots as bad shots and bad shots as good shots. If this is the case, the inexperienced player will never want to fix their swing flaws. If they don’t fix their flaws they will never reach their golfing potential. This is why alignment is perceived by a great many professionals as the most valuable lesson in golf. 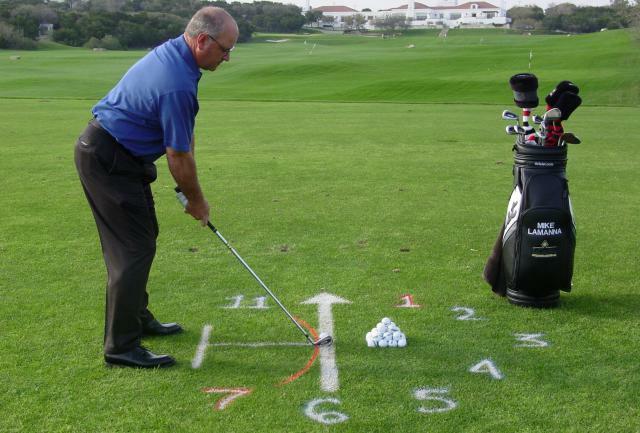 In order to find out if you are a player that has swing flaws, you must check your alignment. To do this, all you have to do is pick out a target and do your normal set up. Once you feel like you are ready, lay a club down at your heels or toes. Then, step back about 10 paces behind the ball to see where you are actually aimed. If the club you placed at your toes or heels is parallel left of your actual target, you have properly aligned yourself. If the club on the ground points to the right of your target you are mis-aligned. If you find that you are mis-aligned, you must learn to square up your stance. To do this, simply find a target in the distance that you want to hit the ball to. Take out 2 golf clubs that you rarely hit (ie. 3 iron and 4 iron). Take the first club and lay it down directly at the target (you will have to step back a few paces to check this). Place the second club parallel to the first club on the ground. Now, take away the first club that is pointing at the target. 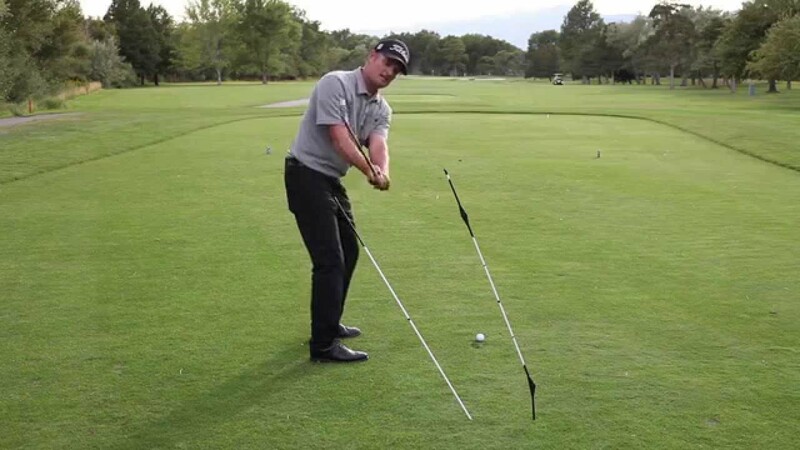 You should have one club on the ground that is parallel to the left of your target. 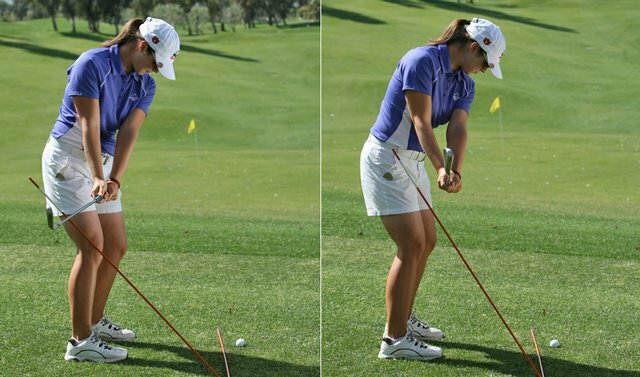 Once you have the club on the ground parallel to your target line you have a guide to help you align your feet, knees, hips and shoulders squarely. If you aim your body squarely to the club on the ground and you hit the ball to the left of your target you have just found out that you are pulling the golf ball which means you are trying to hit the ball too hard with only your arms. If you hit the ball to the right of the target from this square alignment you are sliding your body too much laterally through impact which is causing the ball to fly to the right. Learning that you are mis-aligned can be quite shocking at first but don't think of it as a bad thing, think of it as a good thing. It's a good thing because you now know that you have a swing flaw and you can get on the road to fixing it so that you can play even better golf in the future.